The 5BR home our Buyers own—measuring roughly 4,000 square feet—sits on a lake, complete with boat dock and 5 car garage outside of the Birmingham area. After all, most Agents would welcome the chance we had: To work with the husband and wife who called a few days ago about a home we have listed for sale in Alabaster. We really need to find a place, the wife tells me. Moving here from out of area and pre-approved by their local bank to spend up to $300,000, they tell of their frustrating efforts to find a home in Birmingham. After determining that the house they called about is not a good match, I ask a little more about their situation, and if they’d like help with finding a suitable property. They have put full price Offers on two homes, only to have the houses “sell right out from under us,” the husband says. They had tried to get help from two other Realtors in the area. “They’ve put us on the back burner,” the husband tells me during a half hour phone call. “I’ll ask to see a particular home a week ahead of time, and nothing happens,” he says. There is nothing Colleen and I hate worse than hearing about Agents who are non-responsive to their Clients. This kind of behavior makes all of us in the profession look bad. In our roughly 15 years combined of helping people buy and sell homes in the Birmingham and Shelby Co. area, one critical step we always follow is to learn as much as we can about our Buyer’s particular situation. The Offers that failed, it turns out, were both made on the condition that the Buyers could first sell their existing home. From the description of their home—five bedrooms, over 4,000 square feet on a beautiful lake setting, five car garage, in-ground pool and boat dock—you’d sure think it would go easily…especially in today’s market. I look their home up on MLS and the Internet. Sales price: Just under $600,000. My conclusion about their place: Very nice. Sales data I uncover for the property suggests that these folks paid less than half their current asking price when they bought it. Maybe they’ve put some money into the place over the years. I can certainly understand that one Agent they’d contact would be a dud. But two Agents? That’s possible. In my mind, questions are starting to rise. They’ve been trying to sell their home for two years. No home should be on the market that long. During one of our phone calls, I ask the husband more questions. How many showings do you typically get each month? Answer: Maybe one. Part of the process in getting your home sold means adjusting the price, if needed, and monitoring market response closely. If Buyers aren’t showing interest, that’s a clear message. What kind of Feedback do you get from those showings? Answer: Everyone says it’s a very nice home. Has anyone ever told you that your home may be overpriced? Answer: Absolutely not. So, why, then, do you think your home hasn’t sold? Answer: There just aren’t that many people who can afford homes in our price range. Besides, he adds, none of the homes for sale in their area have sold in a long time. Remember those roughly 15 years selling homes I mentioned? They’ve taught us other things, too. With the setting on the lake and the home’s general appearance, I’m able to eliminate two of the three causes immediately. Price, then, can be the only reason. I realize, too, the probable effect of a recent local MLS rules change on our Buyers, which they may not be aware of. The rules change requires homes that go Under Contingency Contract be removed from Active Listings and moved to a different category. This reduced exposure, while waiting on the Buyer’s home to sell, is not likely to be attractive to most Sellers. As a result, many Sellers—at the advice of their Agents—are not accepting home sale Contingency Offers unless the Buyer’s home is already Under Contract to sell. This is understandable; Sellers want at least some assurance that they will be able to actually sell their home, as opposed to losing valuable time on market, only to have the Contingency Contract fall apart if the Buyer’s home fails to sell. It’s time, I decide, to share some market and general buying knowledge with these people. I sit at the computer and start drafting an e-mail with information they should find useful. In the meantime, I get a text message. They’ve found a home for sale in the area they’d like to see today. It’s a Short Sale. They want to know if we can show it to them that afternoon. I look the home up on MLS. It’s available, and it’s occupied. 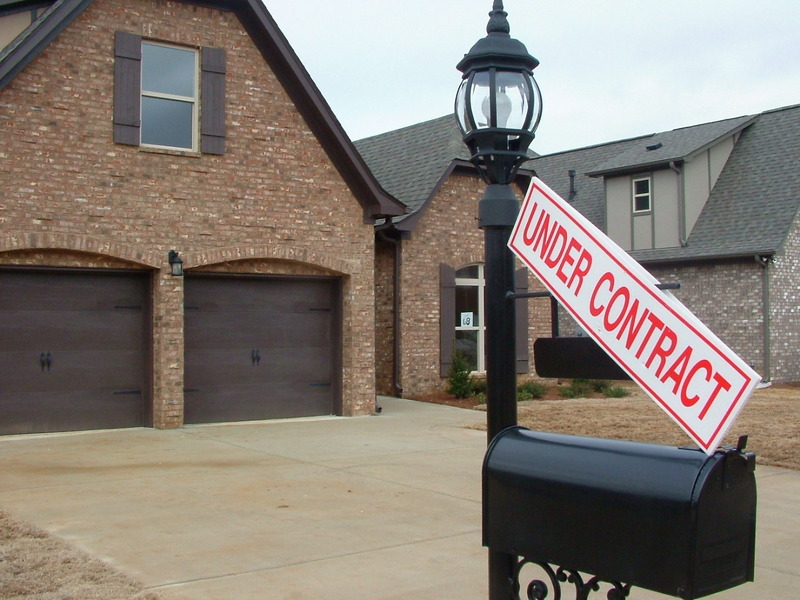 There’s a hitch: Lenders in a Short Sale will not accept Contingent Offers based on the sale of the Buyer’s property. I also look at personal considerations: We would be asking the occupant to let us show their home to people I now realize have very little chance of actually being able to carry through with a purchase at this point in time, even if they wanted to. We’ve learned—and our Broker, Keller Williams Realty, preaches a lot—that successful sales need to be a win-win for everyone involved. This means that we need to assess carefully the viability of our Clients to actually carry through and meet their goals. While I might represent the Buyers and not the Sellers, is asking to show this home under these circumstances appropriate? Is this likely to be a win-win for everyone? I respond that I can’t show them the home. Instead, I decide, it’s time to have a conversation. I recommend that we meet in person at our office that afternoon. They agree. “This is the situation I see you in,” I say, while seated at our conference table. I hold up a note pad. Writing down my assessment of our Buyers’ current situation, as well as a path to follow to reach success, seemed to resonate with both the husband and wife. “Absolutely,” I’m told. Heads are really nodding now, with facial expressions providing more confirmation. There is total agreement; husband and wife relate 100% to everything I’ve said. At this point, I describe what’s happening right now in the Birmingham area real estate market. I talk about how homes are selling. I explain why Sellers are unlikely to find their Offer—even at full price—attractive. “One hundred percent of nothing is still nothing,” I tell them. I point out that inventory in the Shelby Co./Birmingham area can change substantially in less than a 60 day time frame. With no immediate prospect of selling their existing home, I tell them that, by the time they might actually be able to move ahead with a purchase, they would probably have to look at a different set of homes to choose from than is on market right now. I take my pen and abruptly strike through the bullet points I had just written down. They seem a bit taken back. No matter what home they find, and when they find it, I tell them that they can’t move ahead with buying until they sell their current home. Getting your current place sold, I tell them, needs to be your absolute top priority over anything else. I tell them that I feel very sure their home is overpriced, and that Buyers are, in fact, responding to this. The silence Buyers have created for two years is deafening. The husband reminds me that no other lake properties in the area have sold. I have a quick answer. That’s something we have seen before. “It may well be that they’re all overpriced,” I tell them. The husband mentions that they have to be able to walk away from the sale of their home with a certain amount of money. “I completely understand,” I answer. While I tell them I realize that how much money these folks clear from the sale of their home is very important to them, I point out that it’s of no concern at all to a Buyer. The true value of your home, I tell them, is the figure at which a Buyer and a Seller agree to sit across from each other at a closing table. 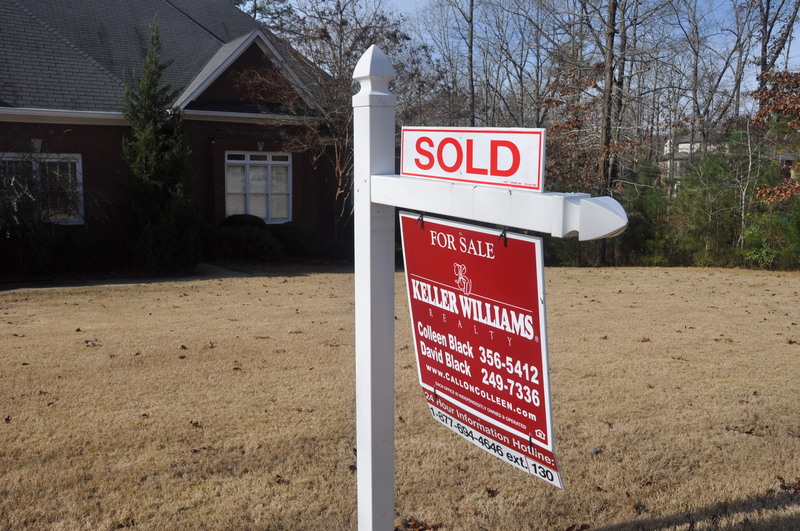 Homes in Birmingham are selling faster and easier, compared to previous years. Sellers who price appropriately and have their homes in top condition typically don’t have to wait long to receive an Offer. I write down a new set of bullet points on my pad. Number one, I recommend, is to get an appraisal. It’s the best independent assessment of their home’s actual probable value. The husband mentions that they can use an appraisal from two years ago. Nope, I respond, that won’t work. It needs to be no more than about six months old. After looking at a current appraisal of their home’s probable selling price, I tell the couple that they’ll have a decision to make. Number two, as I continue scribbling, is to adjust the sales price. And, I tell them, they have to keep adjusting it until they get sufficient interest—and an Offer that turns into a Contract—on their home. Number three, as I talk and scribble, is to get their home Under Contract. 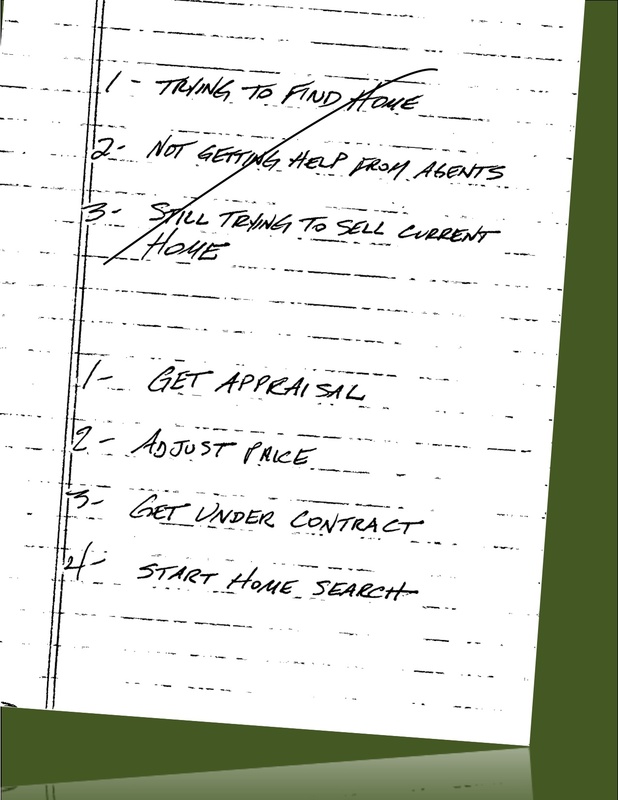 I conclude by scribbling item four: Start looking for your next home. When they make it to point number three, I tell them, is when it’s time to pick up the phone and call us for help with finding a home in the Birmingham area. And that’s more promising to be a win-win for everyone. I tear the sheet off the notepad and hand it to the husband. While our meeting concludes on a friendly tone, I sense that these folks are not walking out very happy. Will we ever hear from them again? Did we manage to lose a potential Buyer Client and sale? But my conscience is clear. It’s about being honest and giving people information they need to know. Even when they may not want to hear it. 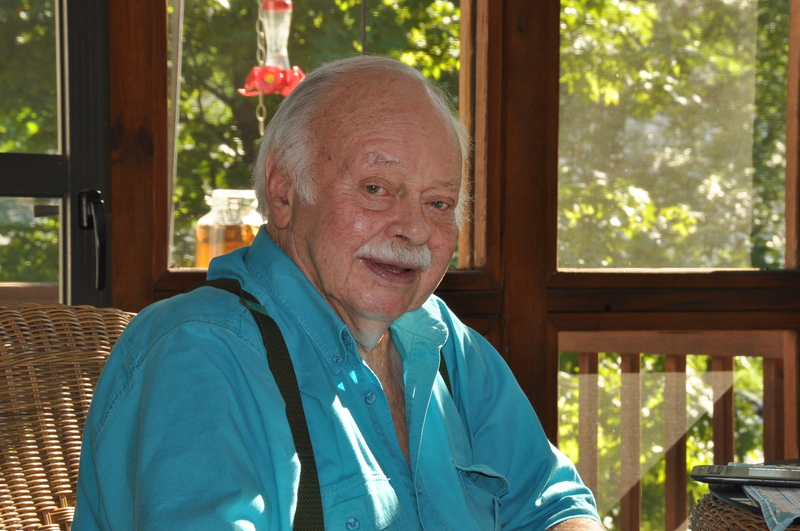 Spending time in the screened room at our home in Birmingham, enjoying the peaceful view of nature and watching hummingbirds squabble over feeder rights was Heaven on earth for David L. Black. David Luther Black passed away late the morning of June 12, 2013 at his home in Santiago, Chile. The past five days of my life have been the worst I’ve ever experienced. I’ve travelled more than 11,000 miles and spent nearly 24 hours in the air going to, and coming from, a place I’ve never been. But I would not trade those days for anything. It’s all for my Dad, the Grandfather Dragon. My trip—from Birmingham 5,000 miles south to Santiago, Chile—was likely my last chance to tell David L. Black anything and everything I’ve ever wanted to say, but didn’t. This trip was to say goodbye. Frail and declining, barely able to talk and unable to move, my father may or may not have understood that I had travelled so far to see him, face to face where he lay, in the bedroom of his home, 12 stories up in the polluted air of Santiago, only a few miles west of the Andes mountains. At one point, when asked if he knew who I was, he said he had no idea. I will never know for sure, although my best guess is that he knew I was there, at least part of the time. 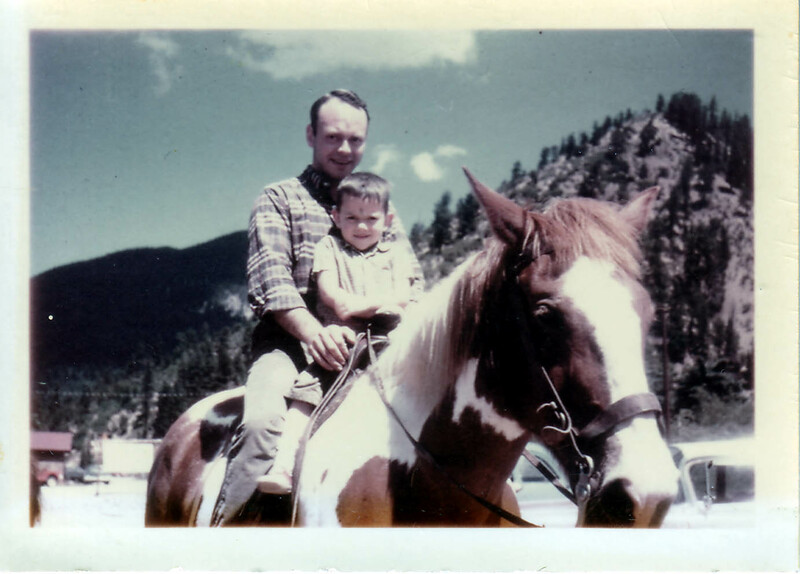 A father and his young son enjoy a horseback ride while on vacation in the mountains of Red River, New Mexico, early 1960s. Although physically apart my entire adult life, my father and I have always been close. We each had our own lifestyles, work and preferences about where to live. E-mails and phone calls between us were routine. On special occasions—maybe once every year or so on average—I would get to see him. A few times, I might get to see him more than once in a year…quite a treat. Only while I was a child would we live in the same city. After that, never again. Are you one of those people whose father was always close by? Perhaps a few blocks or a few miles away? If so, I am envious. Christmases and birthdays were almost never spent together. But presents always showed up; he never forgot. His marriage to his Chilean wife saw him relocate from Washington, D.C., and later Miami, to Santiago several years ago. 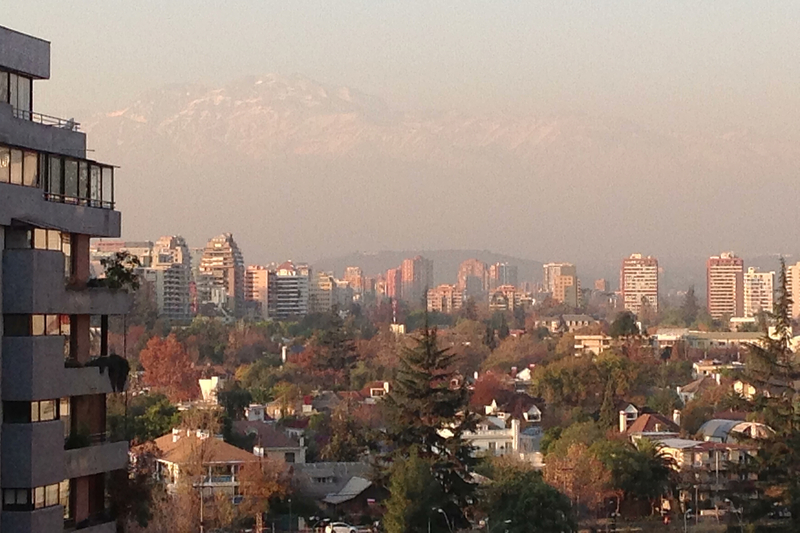 From Santiago, how easily the Andes mountains, east of downtown, can be seen, depends on the amount of smog on any given day. With his health declining, I wanted to be close to help. His decision to move to South America was not one I embraced comfortably. But it was his call. During the few days I spent with him in Santiago, I didn’t hold back on anything I had ever wanted to say. 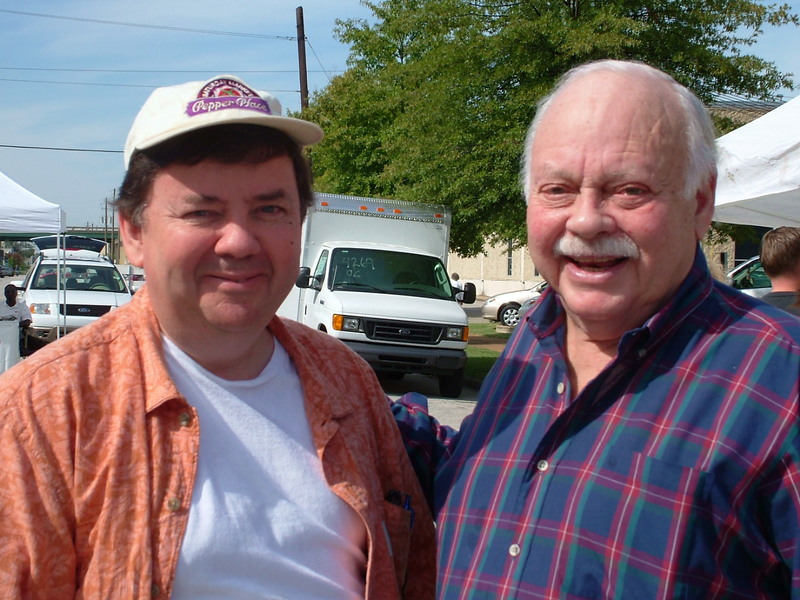 Father and son enjoy a September 2006 visit to Birmingham’s Pepper Place farmer’s market. I told him how thankful I am to him for all the things he has made possible in my life (that brought an unmistakable grin from ear to ear). But as I reflect back on the man who has been a continuous part of my life for over half a century, I realize that I have to let go of someone who has been much more than just Dad. He has been my constant friend, my cohort, the person with whom I could always share stories of the exciting or mundane. My childhood is full of great memories with my father that I get to keep for the rest of my days. From spending time on the Texas coast, to going to church in my hometown of San Antonio, to all the times he took me to Jim’s restaurant to get my favorite hamburger, the number 6 (hickory sauce with onions). There were countless tennis matches we played (including during a vacation to Bermuda), and trips to the bowling alley on San Antonio’s Austin Highway. Like his son, my father was a prolific writer. As a child, he would tell me dragon stories before bed. These were stories he always built around me and my childhood cat, Smudge. Fisbo always loved visits from ‘Grandpa’ because they meant an extra lap for parking and petting. Nearly every story drew wisdom and lessons learned from a much older, wiser fire breathing Grandfather Dragon who, despite his advancing age, was all knowing and all powerful. During the last several years, Colleen and I convinced Dad to write a few more dragon stories and send them to us. Whenever a new story arrived via e-mail, reading it—devouring it, really—was a treat for both of us. Dad played a huge role in my start in the broadcasting business, helping me get hired for my first real summer job as a 14-year-old disc jockey on radio station KVOP in Plainview, the small Texas panhandle town where he grew up. Dad arranged for me to live with his mother that summer in the same house where he grew up. Still too young to drive, I rode my bicycle to work. But that was okay: I making $1.35 an hour and was a DJ on the radio. I was on cloud nine. It didn’t get any better than that. Dad stood by me when I made all my life’s decisions, be they good ones or poor. Yet, despite having plenty of opportunities to do so, I cannot ever recall one time when he was critical of me for something I had done. Born and raised in the small Texas panhandle town of Plainview, David L. Black would become a world traveler, with business projects taking him to Europe, Asia and, most frequently, South America. I can’t count the number of times he would tell me how proud of me he was for various accomplishments. Last summer, I received what I suspected then would be a fabulous gift. My father came to the states and stayed with us in Birmingham for almost three weeks. It was a wonderful visit. This was the longest time we had spent together in over 30 years. He needed time to unwind, and that’s exactly what he did. 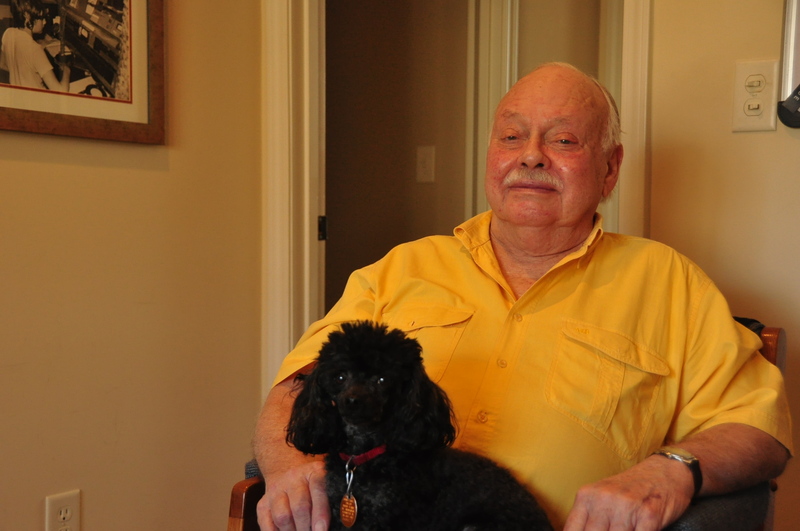 More than anything, he loved sitting in our home’s screened porch, enjoying the view of nature, and petting Fisbo, our six pound poodle, who was thrilled that ‘Grandpa’ was visiting, since that meant another available lap to occupy for getting attention. Dad told Colleen and me he felt ten years younger as a result of his stay. We urged him to stay longer (the Father motel is always open, I assured him), but he said he had to go back to Chile to tend to matters there. With his difficulty walking, I cringed at the thought of him having to endure twelve hours of flying, making connections, clearing customs and waiting in lines. 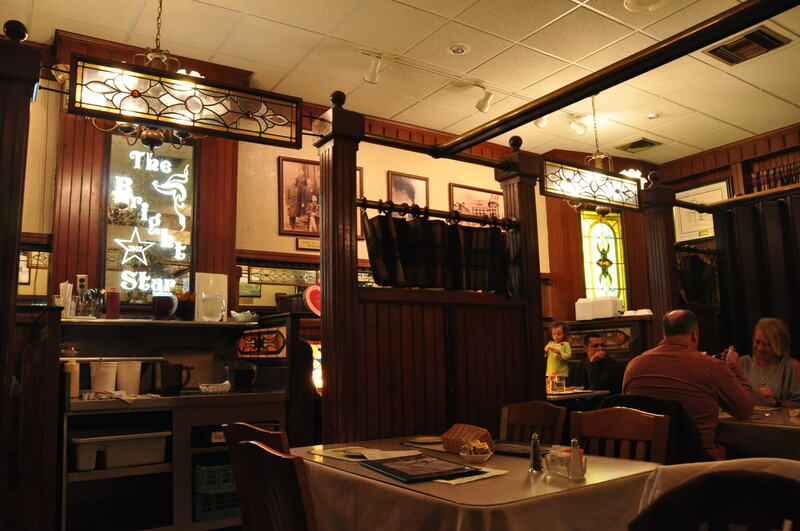 Visits to Birmingham always included dining out. 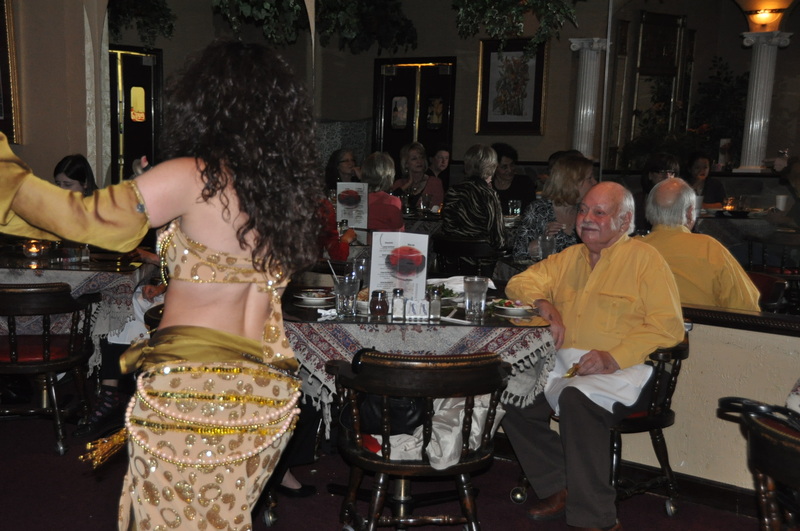 Dad got a real kick out of the night we went to a Persian restaurant, complete with a belly dancer. He said he would be back, but seeing him struggle more and more to even walk, I wondered whether his stay with us then would be his last. As my father’s years advanced, his stay in Chile seemed to come at more and more of a price. He told me of trying to join churches there, but never feeling welcome as a foreigner in such a vastly different culture. In many ways, I sensed he felt lonely. I tried to keep in regular contact. Discussions often focused on how much fun it would be to see him again. “I’m sure looking forward to getting back and seeing you two,” he would say. While staying with us, he began attending services at The Episcopal Church of the Holy Spirit, a small church only a few blocks from our home. The Rev. Lee Lowery, a friendly and welcoming pastor there, helped give my Dad the spiritual nourishment he had been unable to find elsewhere. It gave me peace to know he had found this respite of compassion. for what you have made possible in my life. Thank you for being my constant friend and guide. As I write this, how much more time remains—be it days, weeks or longer—is not for me to know. I owe him so much. I knew I could never forgive myself if I didn’t try to see him one last time. “You better get here as soon as you can,” family members said. As our American Airlines Boeing 767 shot across the equator at 500 miles an hour in the middle of the night last week, I prayed he would hold on for me to get there. I will never forget you, I told him. And in a turnaround from what I’ve heard all my life from him, I told him how proud I am of him. I cannot begin to describe how much I will miss him. While sitting by his bed, watching his body struggle with every breath and holding his hand and stroking his forehead, I heard an unmistakable, clear-as-day sound I absolutely did not expect. If you need to slip away, that’s okay, Dad. It’s no wonder that folks who rely on the news media to know about our world often wind up confused, or sometimes, downright misled. With the possible exception of politics (no, I’m not going there), I see few better examples of consumers getting misleading information than in real estate. I have to hand a blue ribbon for disappointment to Marketplace, a program by American Public Media which recently produced a report about the difficulty of getting a home mortgage. Reporter Gigi Douban in effect focused her magnifying glass on one part of the real estate industry and left folks with the impression that it’s just flat hard to get a home loan. Period. 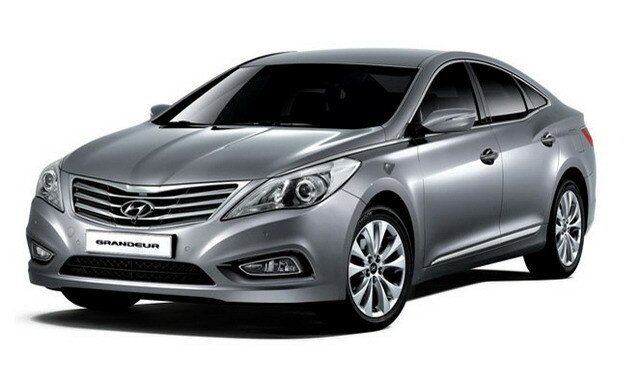 “Now it’s nearly impossible to get a loan,” the show’s anchor said, leading into Douban’s report. Douban interviewed people active in the Birmingham real estate industry: Woody Woodfin, a Lender with Mortgage America; Johnny Montogmery, a Realtor with ERA King; and Jon Mulkin with BBVA Compass. “There are plenty of folks who want to buy a house, but there aren’t that many who can,” Douban said. I have no issue with anything anyone interviewed in the report said. Woodfin talked about the fact that more of the Buyers approaching him for a loan than in the past wind up not being able to qualify. That’s true. We all know that mortgage requirements have gotten tighter, something that, in my opinion, needed to happen. The fact is that getting a loan is difficult. For some people. The timing of this story seemed particularly ironic. On May 14th–the same day Marketplace aired Douban’s report–BBVA Compass announced that it’s expanding its–get this–mortgage operations, and–guess where–in Birmingham, as well as in Tempe, Arizona. “Even in Alabama, it’s hard to get a home loan,” the headline reads on the Marketplace website. In a news release, BBVA Compass cited the rapid growth of its mortgage business as the reason for the expansion. They’re hiring 60 more people to handle loans. The bank said 270 people will be involved in mortgage operations in Birmingham. Pretty impressive numbers, if you ask me. It certainly suggests that BBVA Compass must have some reason to feel confident that they’ll be helping more people buy homes in the coming years, and, specifically, by writing loans. Why else would they spend the money? If the Marketplace report had provided a more balanced perspective, it would have mentioned that there are quite a few sales happening in the Birmingham and Shelby Co. real estate market. Some in the business even feel the industry is turning around. April home sales within the Birmingham and Shelby Co. area are up more than 10% compared to a year ago. The fact is that if you have good credit–no, not absolutely through-the-roof sterling credit, but just good credit–you can get a loan. Sure, some Buyers are paying cash, but don’t kid yourself; a lot of those sales are being financed. It’s the people in less than sound financial condition, who are late or have missed payments, or who have judgements against them who likely face mortgage rejection. With more homes selling, it’s only logical to realize that mortgages are not nearly as impossible to obtain as the media tells us they are. The problem is that folks don’t always hear what the market is really like. 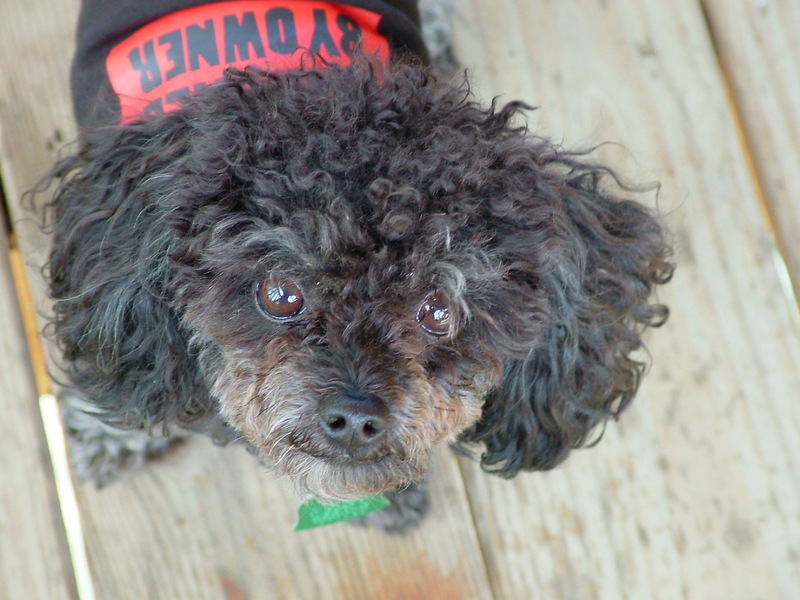 As Fisbo, our highly spoiled six pound poodle, and I took our early morning walk a few days ago, I used the time to contemplate how our real estate business has evolved during 2011 and thought about what’s ahead as we kick off 2012. Our walk was made rather intriguing because the neighborhood was shrouded in fog, limiting visibility sometimes to only a few hundred feet. You can’t see very far ahead, and as you keep moving, what’s behind you grows increasingly vague. Predicting home sale trends in Birmingham and Shelby County can be a little like walking into the fog: You can see a certain distance in front of you, but after that, knowing what’s ahead gets tricky. That’s not to say we’re in a fog about what will happen, market-wise, during 2012. In fact, Colleen and I are optimistic that a lot of people will be buying and selling homes during ’12. We think it’s going to be a busy and successful year. Our optimism about ’12 is due in part to 2011, a year that was not only productive for us, but outperformed previous years. For a lot of people in the Birmingham area, 2011 was a very difficult year, with the April 27th tornado affecting so many thousands of people and Jefferson County declaring the largest municipal bankruptcy in history. I believe the new year will be one of healing and stories of success. So, what does this mean for you if you’re thinking of buying or selling a home? 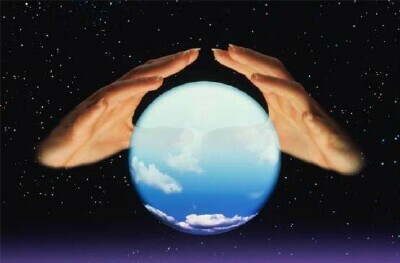 Okay, watch out, I’m getting out the crystal ball! 2012 will be a year of excellent opportunity. You might have to spend a little more time picking and choosing than during previous years, because inventory in some areas has dropped. This doesn’t mean the good deals are gone. It just means you’ll have to do a little more work to find them. An Agent with a good knowledge of the market as well as sharp negotiating skills will be one of your most valuable assets during this time. Pricing will continue to be very much in your favor, but if you’re in search of a “steal,” you stand a greater chance of a Seller saying, “no deal.” If inventory continues to drop, Sellers have less competition, and therefore less reason for agreeing to a “fire sale” Offer. The Buyer who understands and accepts this still stands to get a very good deal. With no sharp rise in mortgage interest rates on the horizon, ’12 is shaping up to be another year of tremendously low borrowing costs. You will be in a better position to get your home sold than in some previous years. Home values will continue to be a big challenge, but the news isn’t all bad. With the number of homes for sale dropping in some areas, what has been very much a Buyer’s Market shows signs of changing. That’s a good thing, but the change is going to be gradual. During ’11, we saw many homes sell for the same price they sold for ten years earlier. This was great for the Buyer, but not for the Seller. Seeing both Buyer and Seller bring checks to the closing table was not uncommon last year. If you plan to sell during ’12, understanding one “fact of life” about the Birmingham and Shelby Co. real estate market will help: The maximum a Buyer thinks your home is worth may wind up being significantly less than you had anticipated. We do feel optimistic that the slide in values is beginning to ease. This easing, however, is likely to be so slow and so slight that many people selling in 2012 may not feel it’s very noticeable. It’s important to remember, though, that the slide in home values didn’t happen in a few weeks or months, but rather, took years. Any correction won’t happen fast, either. And then there’s the matter of your home’s condition. Do you want your home to appeal to a majority of possible Buyers or only a few? In the Birmingham and Shelby Co. area, the overwhelming majority of Buyers we work with want homes that are immaculate, need nothing done, and are “move-in” ready. We do get calls from Buyers looking for places to fix up, but they expect to pay “bottom dollar” for the work they know they’ll have to do. 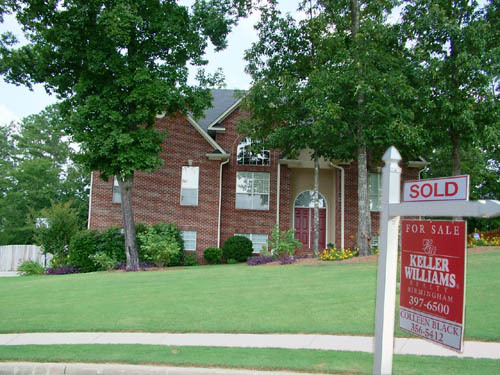 Of all the homes Colleen and I sold during 2011, one property we were particularly excited to sell was a home in Alabaster. Price wise, this home was nowhere near our biggest sale. But it’s not about the money. The Seller had tried to sell five times before, starting three years ago, and not had success. This was a sizable home in extremely nice, clean condition. 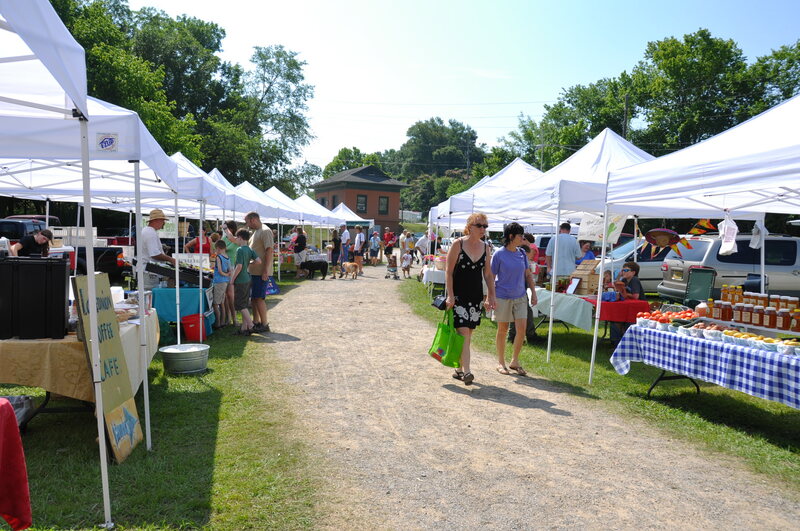 But the sales price had never been in alignment with what was taking place in the Shelby Co. market, and we didn’t feel that the property had been marketed correctly. Lowering the price was not easy for the Seller to do. 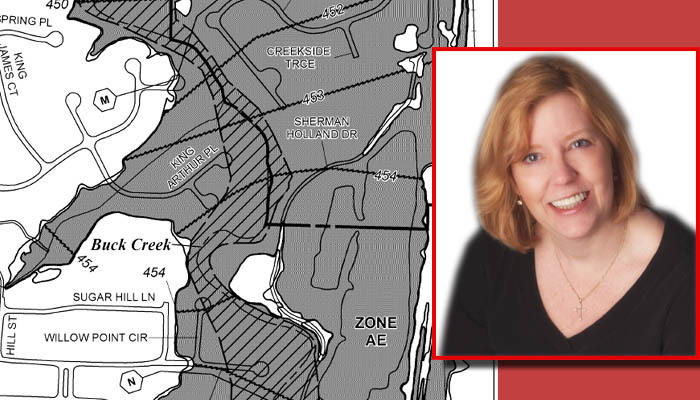 But we worked hard in marketing the property, and our Seller worked hard, too, cooperating closely with us as we moved toward our common goal. That team work finally paid off with a successful closing. It pays to be a student of the market. Many of the sales Colleen and I helped with here in the Birmingham area offer lessons to the wise if you’re thinking of selling during ’12. We had many successful sales last year. But one home we listed in No. Shelby Co. was not destined to be one of them. It stayed on market for five months and never received an Offer. The home was not priced correctly, drew very little interest, and had significant structural issues cited by many of the few Buyers who actually looked inside. The Seller’s viewpoint could be summed up in five words: Take it or leave it. The experiences from both our High Point and Low Point provide clear support for a prediction we’ll make for the year, though it’s not the boldest call I could make: 2012 will show that price and condition have never been more important in getting your home sold. As we kick off ’12, I’m also deciding that it’s time to change the definition of some of the terms real estate Agents use (hmmm … am I allowed to do that?). Agents have long referred to motivated and unmotivated Sellers. These categories don’t exist any longer. A Seller who is determined to do what it takes to get their home sold is, by definition, motivated. They will adjust their price as needed and will make sure their home is immaculate (as so many folks we worked with did last year). These are the people who, in all likelihood, will get to sit at a closing table. The unmotivated Seller is typically unwilling to price attractively enough to receive an Offer. They also choose not to deal with with the moldy smell in the basement or the rotted wood that needs to be replaced. This person is not a Seller. They are a home owner. If they do happen to receive an Offer, it is likely to be for an extremely low price. This year will be another time of great opportunity in real estate. If you’re giving thought to buying or selling a home, you no doubt have questions. Whether you’re a veteran or just starting out, Colleen and I hope you will feel welcome to contact us for assistance. And we’re on Facebook, if you’d like to join us. As for walking through the fog, I look forward to it. What might be ahead may not always be known, but if you’re determined to keep moving, the scene gets clearer as you forge onward. Our optimism and positive thinking have us excited … we know there are lots of opportunities ahead. Sometimes, saying goodbye isn’t easy. Even when you know the time is coming. I had no blood relation to George Dennis Yawn, or “D,” as many of his family members called him. But it didn’t matter. Dennis treated me like family, anyway. And that wasn’t surprising, because that’s how Dennis’ wife, Martha, their son, Russell, his wife, Angie, and Dennis’ daughters, Gail and Laura, and their families have treated me over the years, as well. The Yawn family’s yearly New Year’s Day celebrations—complete with Dennis’ homemade chili—became a tradition for me, starting roughly ten years ago, when I was invited to join them at their home in Helena one January 1st. Dennis would sometimes start work on the chili days in advance, trying various mixes of spices and ingredients. During a few chili gatherings, you even had your choice: spicy or not so spicy. There was always plenty of other food, football games to be watched on television and lots of kids running through the house. A few times, when I got so full of food that I couldn’t move, I joked with Dennis that I’d have to take a break but that I’d be back in a few more hours for another round of eating. In his ever calm demeanor, Dennis would say, “come on.” Dennis made it clear that I didn’t need an invitation. When he said come on, he was serious. One year, when invited to an upcoming New Year’s chili gathering, I mentioned to Dennis that—as much as I appreciated the invitation—I didn’t want to invade on what I’m sure was intended to be a family gathering. Dennis was quick to correct my thinking. I was expected to show up. that helped draw me into the Yawn family. It was Dennis and the Yawn family. Every one of them. There are people whose every word you have to be careful about trusting, and then there are people who are as solid, genuine and down to earth in their dealings with you as could ever be imagined possible. 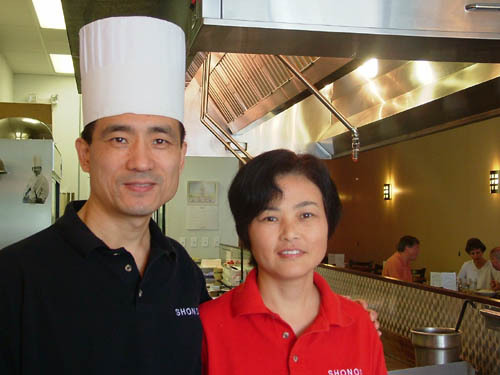 Honesty and a willingness to help others was a big part of how Dennis was wired. If you needed help, he was there, no questions asked. Dennis lived a modest, quiet life, working every day to excel as a husband, father, grandparent and friend. He was neither flashy nor extravagant. 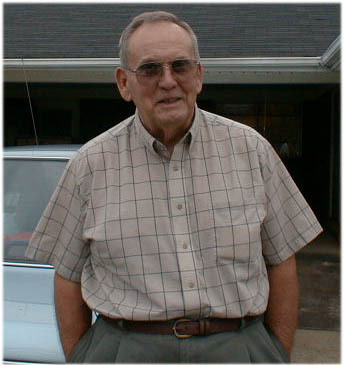 And he served his country, as well, in the U.S. Army during the Korean War, prior to working in the private sector. Dennis was a well known face around the Helena community, having served 17 years with the City’s Utility Board. If you had questions or problems involving water, Dennis was the go-to man. In the pre-dawn hours of December 13, 2011, after 83 years, George Dennis Yawn quietly slipped away, but not before his family had a chance to let him know, one last time, what he means to them. 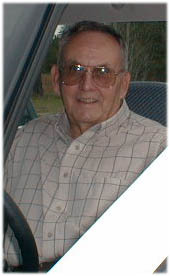 “D” leaves behind a family including twelve grandchildren he had a ball spending time with. What about trying to fill the void he leaves? No one will even try to go there. For me, the sadness is heavy, but I must confess to feeling some joy. I am so blessed to have known this man and his family, and to have spent time around him, enjoying the fellowship and wry humor that were such a regular part of life in the Yawn household. What if I had never crossed paths with Russell, who I met through our mutual involvement in amateur radio, and who would eventually introduce me to Dennis and the rest of his family? What if all the wonderful times I’ve had with the whole Yawn family were to have never been a part of my life? It would be my loss. Russell and I got joy in helping Dennis get his amateur radio license, too, and getting to talk with him on the air. Ham radio operators frequently make fun of their government-issued callsigns. Dennis’ radio callsign was KD4THB. It wasn’t long before we all got laughs from referring to Dennis as THB, the thick headed bozo. Dennis took it in stride; when he saw a chance to get in a jab at us, he took advantage of the opportunity. In my friendship with Dennis, I’ve wound up with an additional gift: I have the chance to try to be like him. If I can work to be a better person, to be more understanding and to show more compassion, then Dennis’ spirit lives on. And it just may be that the annual New Year’s Day chili gatherings won’t end with Dennis’ passing. I have no doubt Dennis is grinning ear-to-ear at the prospect. Will Birmingham’s Black Eye Heal? If you’re thinking of moving to Birmingham from out of town or out of state, you will no doubt hear news that—at best—will seem unsettling about our area. On November 9th, the county commission for Jefferson county–Birmingham’s home county–voted 4-1 to file for what will be the largest municipal bankruptcy in U.S. history. At $4.2 billion, the scale of this filing is mind blowing, making it more than double the famous Orange Co. California $1.7 billion bankruptcy filing from 1994. It goes without saying that this is a very unfortunate event, but it’s not exactly a surprise, either; the possibility has been mentioned and warned about for years. The Chapter 9 bankruptcy filing follows the collapse of an agreement for the county to pay $3.1 billion in sewer debt connected to a series of financial dealings going back three years that cost county taxpayers hundreds of millions of dollars and caused sewer rates to rise sharply. Complicating the county’s financial picture was the Alabama Supreme Court’s ruling in March 2011 that a controversial occupational tax the county had passed (and depended on for $66 million of its budget) was unconstitutional. Alabama’s Legislature could have stepped in to try and help the county avoid bankruptcy, but didn’t. The bankruptcy filing isn’t helped by the tarnished reputation of some of Jefferson county’s elected leaders the past few years. The county’s leadership became a cesspool of corruption that saw at least 21 people—including five county commissioners—convicted of, or agreeing to plead guilty to, corruption charges, some of which were connected to the sewer debts. At least the commissioners and department heads connected with the sewer scandal are out of office. If you’re thinking of moving to Jefferson county, this filing raises questions about the quality of life you can expect. What impact is bankruptcy likely to have on county services, on rates for sewer service, and even how easy or difficult it will be to renew car tags, given the closing of satellite courthouses? What does it mean for the myriad of county services residents need? County staff has gone through severe reductions, as well, and these cuts have affected everything from roads and maintenance to the courts to health to inspections to law enforcement. All of these are legitimate concerns for people thinking of moving to the Birmingham area, and there are no easy answers. So, what does the filing mean for real estate sales in Jefferson county? The county has a lot of desirable communities that individuals and families have called home for decades. There are conveniences and benefits that only living relatively close to the metropolitan area can provide. In deciding where to live, the quality of local government is certainly an important consideration, but so are other factors. The general feeling a community has, the geography, types of housing, price ranges and proximity to important locations are all major considerations. Vestavia and Mountain Brook, two incorporated and very desired cities in Jefferson county, have some of the most expensive homes in Alabama. No doubt about it: Jefferson county has a black eye that will take years to heal and that could have major economic ramifications. People are still going to buy homes in the county, but the financial implosion is likely to make at least some Buyers take a close look at living across the line in Shelby county; indeed, we have already seen evidence of this. A Birmingham real estate attorney says he has seen Buyers purchasing homes in Shelby county who say they want no part of Jefferson county’s problems. Regardless of the bankruptcy filing, the simple fact is that—for decades—a large number of people who work in the general Birmingham area have chosen to live in Shelby county, because of its great quality of life, financial stability, affordability of housing and proximity to the metropolitan area. The vast majority of Buyers Colleen and I work with wind up buying in Shelby county. Some residents view Shelby county as a breath of fresh air, compared to the financial mess, criminal wrongdoing and political bickering that has plagued their neighboring county to the north. What’s ahead for Jefferson county? Residents will no doubt experience new belt tightening, and much of it likely won’t be pleasant. It is virtually inevitable that services will be strained further, and costs (whether they be taxes, sewer rates or other fees) will go up more. Real estate sales in the county—both commercial and residential—may well be affected, though no one is sure by how much. Can Jefferson county rise from the ashes? It has to, because it has no choice. Despite the massive negative nationwide publicity, Jefferson county will have to find a way to continue to provide needed services and facilities. The county is fortunate to have many talented and dedicated people working within its government. Those people will be needed more than ever in the coming months and years as the county works to restructure its operations. The Birmingham area business community may find itself being called on in new ways to be an active participant in helping the county get back on its feet. Perhaps the state will finally step in and become involved at some point, too. 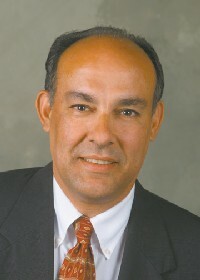 Another reason to feel optimistic for Jefferson county is the recent hiring of Tony Petelos, the former Mayor of Hoover, as county manager. With his established track record in the business and legislative community for getting things done, Petelos has drawn praise for his diplomatic skills and ability to bring sides together. Petelos is well known for his willingness to face daunting challenges, and take them head on. In Jefferson county, he has found one. Trying to select a highlight from this week’s annual meeting of the National Weather Association is sort of like walking into your favorite bakery or doughnut shop and having to pick the treat you want most. Good luck. Pink or chocolate icing? With or without sprinkles? The task may be easier said than done. There were so many informative presentations and panel discussions. There were so many prominent people from the meteorological, scientific, commercial and broadcast industries, and government, gathering at one spot, unleashing and sharing an incredible amount of knowledge. Long before the first speaker ever stepped to the podium, the momentum of this week had been building. WeatherFest, the October 15th gathering of weather experts and the public at McWane Science Center in downtown Birmingham, was one of the catalysts for the success of this week. WeatherFest’s weather was perfect, the turnout huge, and the enthusiasm tremendous. I saw the excitement in the eyes of young children, many of whom were probably getting a rare chance to be exposed to the sciences. We desperately need more young people pursuing careers in the sciences. Perhaps WeatherFest’s opportunities for such close up, hands-on involvement may have ignited the fire in some of these young minds. Our answer will come years from now. As the NWA meeting itself got underway, it became obvious that the planning and logistical organizational work that started long ago had paid off. From the next generation of weather satellites to dual polarization radar, from hurricanes to EF5 tornadoes, from ice to severe weather forecasting and research, a diverse array of experts shared thoughts and experiences, discussing what we’ve learned, and—very important—what we still need to learn. What we still need to learn received heavy emphasis at the meeting because of Alabama’s April 27th severe weather outbreak. With all our sophisticated technology and so much advance notice, experts and non-experts alike ask why so many people had to die that day. It’s not an easy question to answer. But Tuesday’s Town Hall meeting took a serious try at finding answers that may well keep future generations alive. As a former television weather anchor and meeting volunteer, NWA was a wonderful experience (I played an extremely small role, about the size of one sprinkle on one of those doughnuts!). Being around so many experts and getting to sit in during this incredible sharing of knowledge was a rare opportunity and one I enjoyed tremendously. It was very educational … and loads of fun. All of us who were involved in NWA 2011 have our memorable moments from the week of gatherings. I’ll always treasure getting to help with Sunday’s session of meteorology students, who got tips and mentoring from some of our nation’s most prominent people in science, aerospace, government and broadcasting on how to get a successful career underway. Looking across these students, I realized that the torch is being handed off, right in front of our eyes. We are watching the next generation of scientists, researchers, forecasters and broadcasters move through a critical chapter in their lives. One of these young men or women may be who makes a startling breakthrough in atmospheric research, teaching us something new about our planet, or who develops a new way of understanding storm structure and behavior. Future mothers, fathers and children may owe their very survival to what these young people wind up accomplishing. And yes, the next James Spann—ABC 33/40 meteorologist and a former co-worker—is probably in this group, too (but I didn’t see anyone who had lost their hair—at least not yet!). Another memory that’s hard to lose is seeing James almost break in tears, as he talks with a group of teachers about the horror of April 27th. It is still too raw to talk about. Too personal. NWA 2011 was a lot more than just a meeting of weather experts. It was a chance for Birmingham to show its best to people from all across the country and the world. From the comments I heard, the meeting and the Magic City shined nicely. Meetings that go as successfully as NWA 2011 went don’t just happen. Planning for an event like this takes meticulous attention to the smallest of details (most details are small until overlooked; then they’re not small anymore!). Making NWA 2011 work took a lot of devotion, time and effort. From people in professional careers related to weather to people with no formal connection at all (just a love and passion for weather), a lot of people in our community helped make NWA 2011 a success. If there’s any one person who deserves credit for pulling off such a wonderful conference, I know of no one who has put in more time and effort than self-admitted weather geek Bill Murray. He certainly didn’t do this for the money. Bill’s passion for weather is so intense that he began the effort to bring NWA to Birmingham years ago (literally). This week, that work paid off. 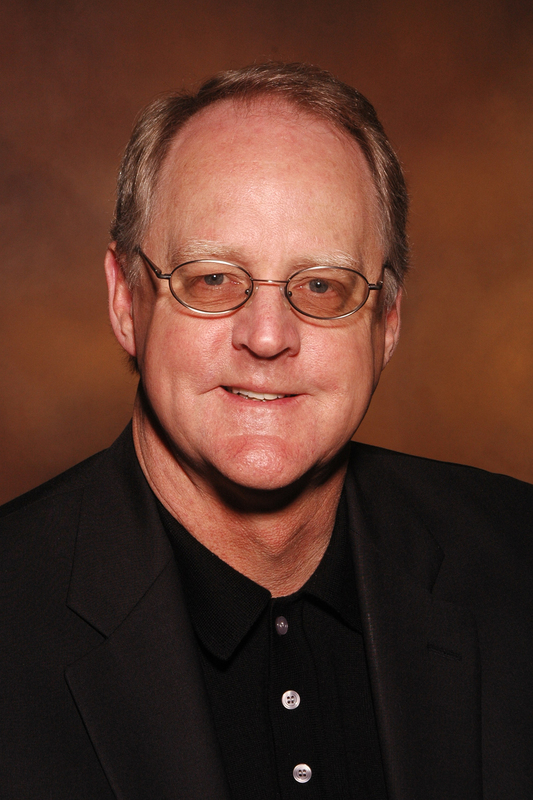 We should be grateful that we have movers and shakers like Bill in our community. Bill assembled a team of volunteers who helped with making sure events and presentations went off as smoothly as possible. NWA 2011 has put our community on the world map for many, and one that will be remembered for years to come for the huge success it was. Birmingham owes Bill a debt of gratitude.